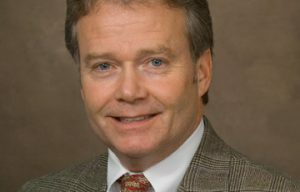 Dr. Rowe graduated from Dartmouth College and then attended Case Western Reserve University in Cleveland, Ohio where he received his medical degree in 1984. He finished both his obstetrics and gynecology residencies at the Medical College of Virginia. Dr. Rowe has been practicing gynecology with an emphasis on pelvic prolapse and incontinence since 1984. His surgical expertise is in advanced laparoscopy, da Vinci Robotics and vaginal surgical approach. He joined Virginia Urology in 2010 to continue his interest in female urology. Dr. Rowe’s experience is second to none. He was the first gynecologist in the area to solely focus on pelvic floor issues and incontinence. It is through experience and expertise of this nature that the newest specialty of urogynecology has been created. Dr. Rowe is certified in Female Pelvic Medicine and Reconstructive Surgery, a Fellow of the American College of Obstetrics and Gynecology. He is an active member of the Richmond Academy of Medicine, the Medical Society of Virginia and Richmond OB/GYN. He has received numerous certifications on various minimally invasive surgical procedures.